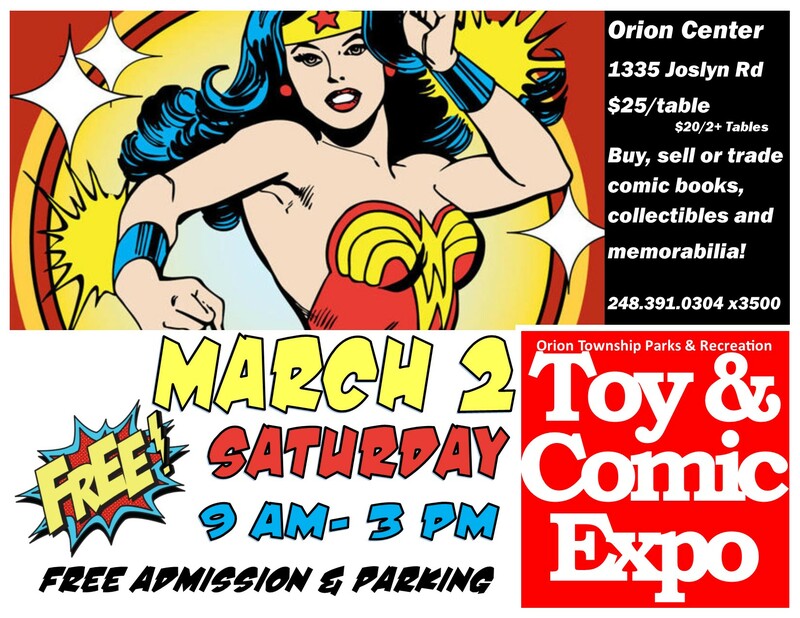 Buy, sell or trade comic books, collectibles, and memorabilia at our annual swap meet! Vendor set up opens at 8:00 am. Spaces are limited. Parking & Admission is free@ $5 discount for multiple tables. $20/table for Lake Orion Residents, $25/table for non-residents.